Good bye The CSS Awards! Hello Awwwards! My web site is also published on Thecssawards.com as a honorable mention. 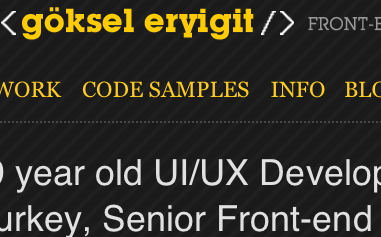 I hope I will get the site of the day title. My portfolio site is published on leading css gallery web site cssmania.com . Time to take a break and watch some movie now.